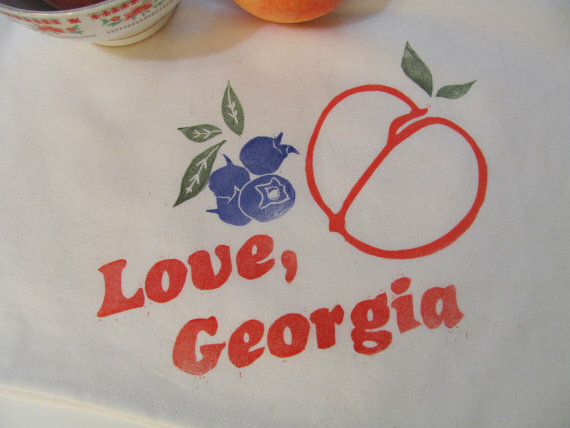 This fun teatowel was inspired by the summer season and my love for the fruit that abounds in my local Georgia farmers’ market. 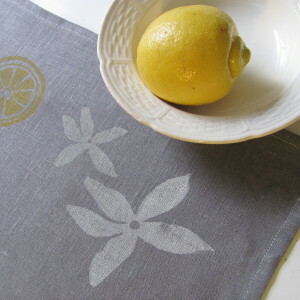 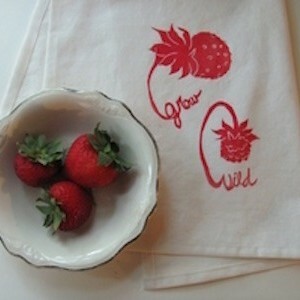 Teatowel is made of 100% cotton and is a natural off-white color. 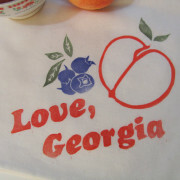 It has been handprinted from 5 seperate linoleum blocks ( you can find single prints of the blueberry and peach under the “coasters” category of my shop) . 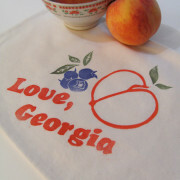 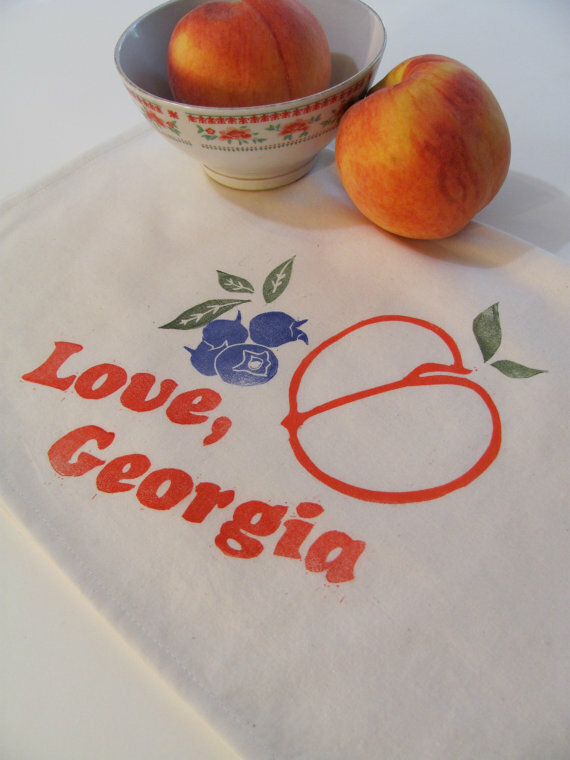 “Love GA” is printed in a vibrant bright red, the peach is printed in a peachy red and the blueberries are printed in a blue violet shade. 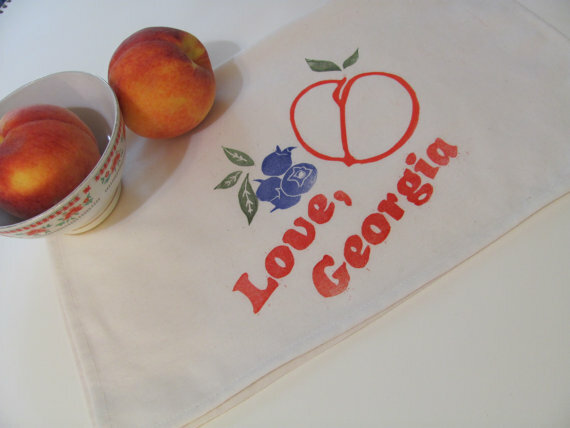 All prints are permanent and towel can be washed on the cold setting of your washing machine and dried on a permanent press setting.